My goals is to make it easy for teachers to find great video and print resources so that time can be spent learning, and not searching. With so many resources out there, it can take hours to find one good resource. 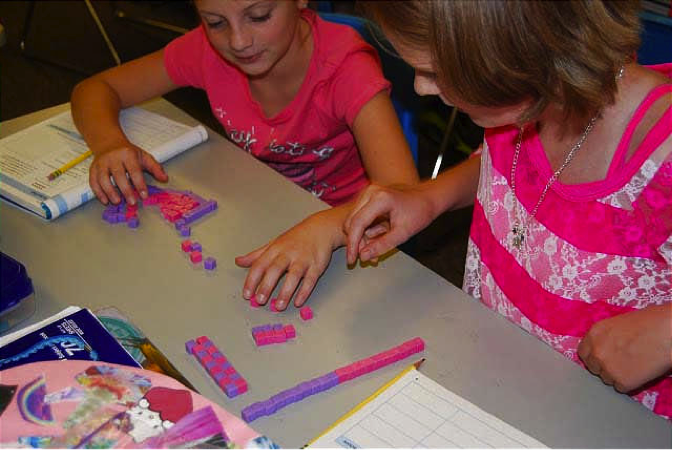 I want to share some of the best elementary math resources that I have found for developing as a professional educator, bringing cooperative learning and higher order thinking to students, as well as finding clarity around the new Common Core Math Standards. I have always struggled with the best way to get students to learn. I taught in isolation for many years until our district required all schools to form Professional Learning Communities (PLC's). This was my first experience with learning from others outside of my credential program. But the sharing was limited to the people in the room. We did not often share best practices across grade levels or across schools. And we certainly did not have the opportunity to share globally. With the advancement of technology, we now have a global PLC at our fingertips for any subject imaginable! Teachers are now able to go online and watch videos of other teachers teaching and observe students learning at any time of the day! There is so much information out there that, at times, it is difficult to wade through all of the information to find those quality resources. My goal is to do the research for you and share some of the best resources out there for math and student engagement.